Following the success of its first augmented reality (AR) initiative, which provided a visual account of the Freddie Gray case, The Washington Post has launched another immersive experience that takes audiences inside some of the world’s most prestigious buildings. 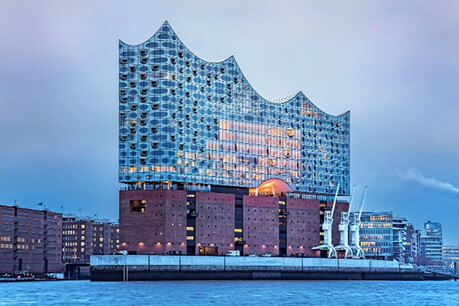 By pointing their iOS device at the ceiling, viewers activate the story's 3D visuals and audio narration, which, in the first site in the series, studies the famous ceiling of the Elbphilharmonie concert hall in Hamburg, Germany. Jeremy Gilbert, director of strategic initiatives at The Washington Post, explained that the publisher decided to launch the experience within The Post's classic native app to make it easier for the audience to engage with it. “We loved the immersion and the agency that we were able to offer people through augmented reality when telling the Freddie Gray story – it was a much more compelling way to tell it than we would have been able to do without AR,” he told Journalism.co.uk. 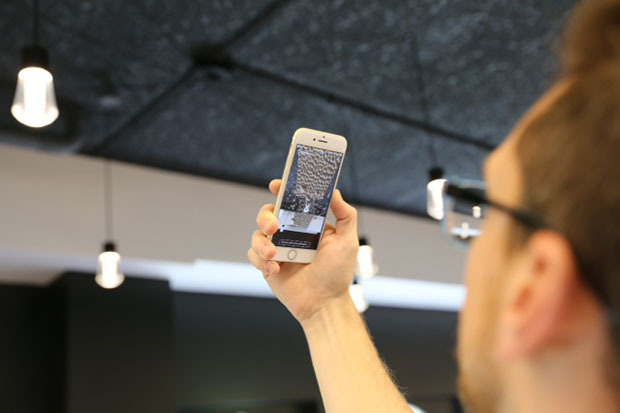 The experience, which took approximately six editorial and engineering staff three months to produce, asks audiences to give access to their phone’s camera before encouraging them to point it at the ceiling of the room they’re in. A green play button appears, and when pressed, users hear a narration from Philip Kennicott, The Post’s art and architecture critic, as they pan their phone around their own ceiling to see the tiles from the concert hall. They hear first-hand how each of the 10,000 unique panels were algorithmically generated to create state-of-the-art acoustics. “We talked about a bunch of potential projects, but the one that got our team most excited was this one – you can take photographs of these iconic buildings but you can't make people viscerally feel like they are there, which is really what we are trying to do, to create an emotional reaction towards them, and to bring a bit of that building into their space,” Gilbert said. Art and architecture critic Philip Kennicott explained that working with spectacular buildings was a way to explore what the capacity of this new medium was. “There are a lot of things I’ve wanted to do as a critic that AR could potentially do really well – for example, architecture writers often talk about things like light, the passage of time, or how it feels to move through a space. They generally resort to a poetic vocabulary to describe that, but we have nothing but words to do that with. The publisher will be adding more AR experiences of different buildings over the summer, and is looking to further explore the medium in a variety of ways, looking at AR as an approach to storytelling rather than a singular technology. “To me, the possibilities seem endless,” Kennicott explained, "but of course it’s more technically difficult than we often appreciate, so it is a back and forth thing to establish what the practicalities of this evolving medium are."